Ideatico focuses on strategy and content creation for digital products, online and corporate communication. The marketing and business administration background empowers a better understanding of the business environment; the copywriting and public relations skills add up to create the communication approach, storytelling and content that suits each brand personality and target public. NGO communication and Social Responsibility projects are another area where Ideatico has gained experience and always enjoys working. We step in those projects that align with our own values. We believe that it is the responsibility of each individual to get actively involved and make the changes they expect in the communities they belong to. Slide down to meet the partners and check the favorite projects. These are Ideatico’s long time partners, who found in our strategic thinking and content creation style a match for their own creative and business approaches. We told their own stories or the ones of their clients from various industries; we challenge each other, learn together in the process and manage to achieve creations we are proud of. NON is a digital product agency, ”artisans of digital ready-to-market products” as we proudly named them, with whom we constantly work on their own products’ creation and communication. Wunderkid is a creative agency with whom we collaborate since the very beginning. They work with corporations both in Romania and in Europe. The partnership with Ideatico involves creating strategy and content for corporate internal communication such as newsletters, learning programmes, HR communication. Our work for the branding agency Wiron consists of content creation for various startups, as well as for corporate branding and PR. It is always a pleasure to dress up in words all the creative ideas Wiron comes up with. These are the projects Ideatico takes most pride in. They cover various fields: digital products, branding, NGO. We find much joy in diversity and with each new challenge we adapt the speech and strategy to fit the particularities of every industry. ThinkOut is a cash flow management platform for small business managers in the creative industries. We saw this amazing product being born and growing up. We gave it its name, created its tone of voice and communication strategy. We helped ThinkOut to introduce itself and build a conversation with its target public. Vowlt is a digital product designed for those who wish to free their mind and express their most inner thoughts in complete privacy. We found the words that best describe it told ist story to the world. UrbanGemini is an advertising agency with whom is a pleasure to work. We put their own story into words, describing their personality and major projects. Leadership Arena is an advanced training program conducted by Acceder – a coaching, training and consultancy company working with major corporations worldwide. Ideatico put into the right words the event concept and helped to promote it. 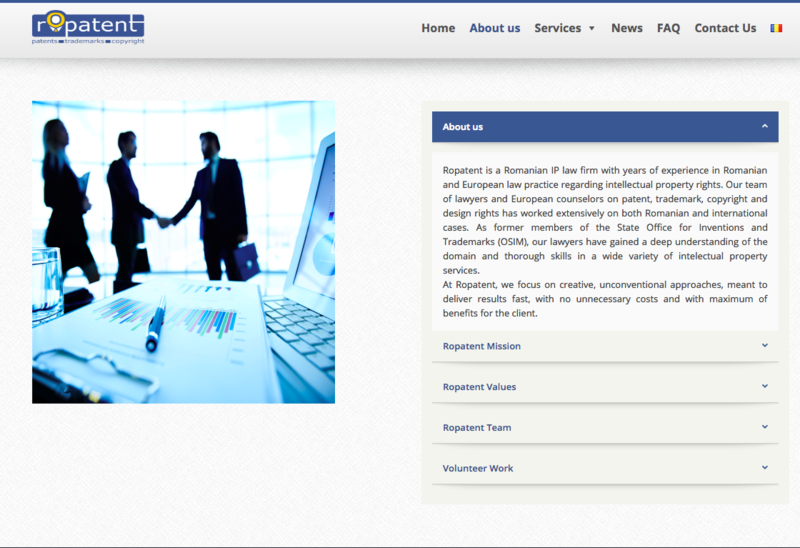 Ropatent is an Intellectual Property law firm covering IP matters both in Romania and internationally. We revealed their brand personality putting it into the right words for their presentation website, both in Romanian and in English. Apa fara Plastic (Water without Plastic) is a projected implemented by Asociatia Mai Bine. Its purpose was to inform and raise awareness regarding the negative impact that bottled water has on the environment and the society, offering he consumption of taped water as a good, less expensive alternative. Ideatico was involved in designing and implementing the communication&PR strategy. Slow Food Iasi is a volunteer work project in which we cover the PR and event organizing part. The Slow Food Iasi convivium is part of the larger, international Slow Food movement which promotes healthy eating along with the preservation of local and traditional gastronomy. 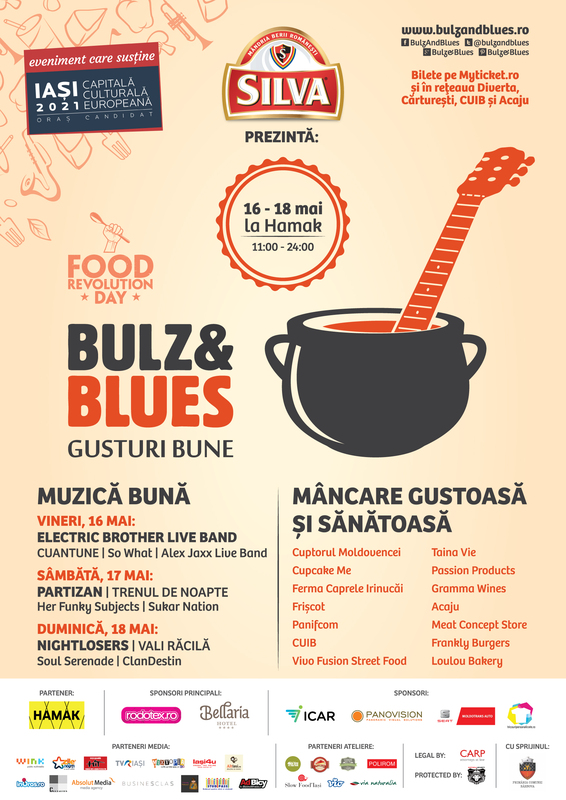 Ideatico ensured the project management for the Bulz&Blues music and food festival, 3rd edition. It was a challenge and a great experience to make this festival happen and to bring together great artists, local, national and international businesses, foodies, artisans, NGOs and an amazing, cool public.